I might side-eye the use of the word "violet" here (even "magenta" might be a stretch), but if it weren't for nonsensical and factually incorrect orchid names, we would have no orchid names at all, so I suppose I'd allow it anyway. 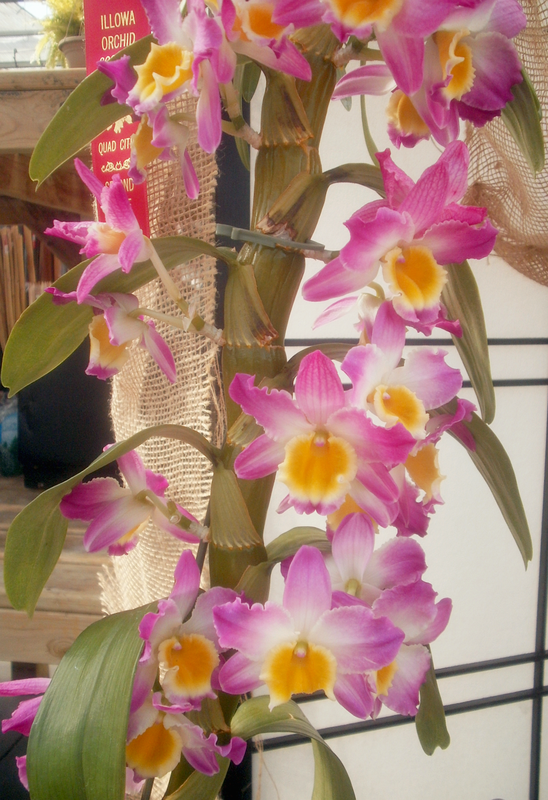 The show didn't have many Dendrobiums this year, but this was probably the prettiest of the ones they had. I was kind of amazed by how thick the stem was: I knew Dendrobium was a large and varied genus, but I wasn't expecting anything like this.